SI Precast Concrete Products, part of The Wilbert Group headquartered in Overland Park, Kansas, has been manufacturing precast products since 1933. In 1984 we began manufacturing agricultural products and have since become one of the top precast concrete producers in the Midwest. In fact, SI Precast Concrete Products has been ranked as one of the top 100 concrete producers in the country by The Concrete Producer magazine. SI Precast Concrete offers a variety of precast concrete products utilized in the agricultural industry. We are also a licensed manufacturer of Redi-Rock, the world’s most innovative retaining wall systems. Our manufacturing plants also produce commercial wastewater and residential septic systems. With over 400 trucks operating out of nearly 50 concrete manufacturing plants, SI Precast Concrete delivers throughout the Midwest and has the capability to deliver nationwide through our warehouses and network of distributors. Our commitment to quality precast products and exceptional service has made our company a leader in the precast concrete manufacturing industry. 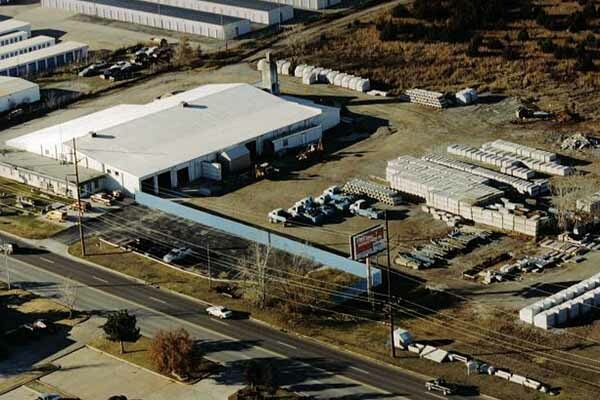 SI Precast Concrete manufacturing plant in Tulsa, Oklahoma.